She became a mom a little more than a year ago. 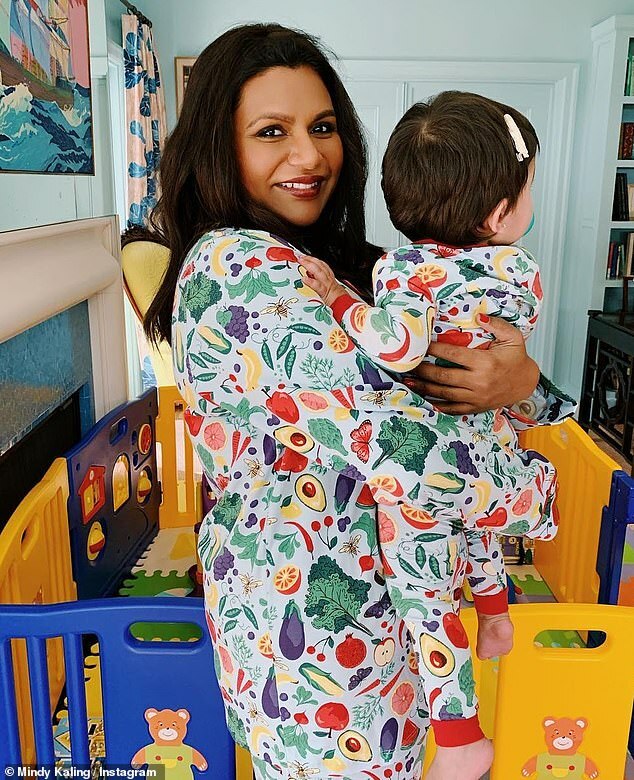 And Mindy Kaling and baby girl Katherine looked like a perfect pair in a snapshot from their 'lazy Sunday' together. The Oceans 8 actress, 39, and little girl - who she calls Kit - were dressed in matching fruit and veggie PJs for the social media shot. It was a rare look at Mindy's little one, who she largely keeps away from the spotlight. The Office actress grinned wide, bouncing baby Kit in her arms while posed in front of her offspring's colorful play pen. Both looked darling in produce-patterned sleepwear from Bedhead Pajamas.